Can millions of metal fans be wrong? Formed in 1969 in hardscrabble Birmingham, England in the wake of their local brethren Black Sabbath, Judas Priest is an iconic heavy metal act overdue for a Rock Hall nomination. With the 2016 induction of Deep Purple—up to that point, a glaring omission in Cleveland—the Hall's stage now would appear to be primed for singer Rob Halford to roar in on his famous Harley. Eligible since 1999, the metal gods have been overlooked by the institution for nearly two decades now. They're far from alone, yet another entry in a "snub club" that includes fellow high-profile New Wave of British Heavy Metal stalwarts as Iron Maiden, Motörhead, and Def Leppard. However, Judas Priest seems to have earned a special spot slightly north of these other acts—a stratosphere where a screaming metal eagle descends, and the "Electric Eye" sees everything you do. Are they Rock Hall-worthy? Judas Priest appears to nail the requirements, and then some. The criteria for "Performer" induction into the Rock Hall, besides having a record out 25 years prior, is effectively two-pronged: musical excellence and influence. Even a non-metalhead would agree that Judas Priest meets and exceeds those standards. This is a household-name band with a powerful body of work and legions of stylistic progeny, including Maiden, Metallica, Mötley Crüe, Soundgarden, and Avenged Sevenfold. Priest's two-guitar assault and leather-and-spikes aesthetic has copied by so many other acts, the whole thing is almost taken for granted. What makes Judas Priest a cut above? Well, there's that voice. Yeah, that voice. 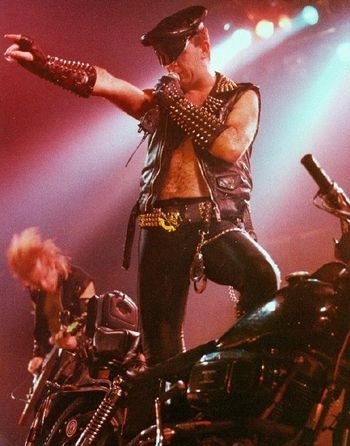 The Halford shriek, perhaps the utmost wail in the raging hellscape of heavy metal. But it goes beyond that banshee cry; Halford's pipes are remarkably versatile. His sturdy voice drives the bluesy, groove-oriented tune "Rocka Rolla" from Priest's 1974 debut, channels pain and regret on Sad Wings of Destiny's "Dreamer Deceiver" (Metallica's "Nothing Else Matters" simply could not exist without this song's influence, whether Lars Ulrich and James Hetfield realize it or not), and is the revving engine of the 1982 hit single "You've Got Another Thing Comin'," Priest's defiant 1982 hit single. The latter is a crossover smash, yet belongs to Priest fans first—it's the "Born to Run" of metal ("it's a case of do or die...") and a battle hymn of the oppressed, sung with devil horns raised. And maybe while sporting a zebra-striped t-shirt. Further elevating Priest's status as a Rock Hall-worthy act is their impressive body of work—17 studio LPs and six live releases, with 45 million albums sold. In any career of this length, there will be ups and downs, naturally. There are superb high points (Stained Class, British Steel, Screaming for Vengeance), slight misfires (Turbo, with its synthesizers, the concept record Nostradamus), and outings with a replacement singer (Jugulator, with Tim "Ripper" Owens). There's more chrome than rust, though—this is a catalog boiling over with jagged, fist-pumping anthems that infiltrated arenas, radio, and MTV to a genre-perpetuating degree. 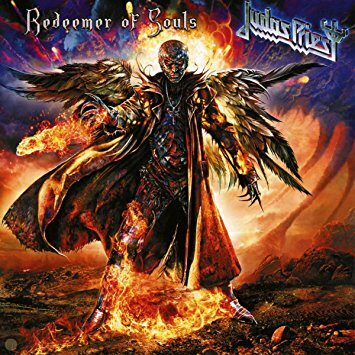 And the legendary Priest (currently Halford, bassist Ian Hill, guitarists Glenn Tipton and Richie Faulkner, and longtime drummer Scott Travis) are at it to this day, with the 2014 release of the well-reviewed Redeemer of Souls. They remain globe-trotting metal ambassadors, delivering favorites like "Breakin' the Law," "Living After Midnight," and "Hell Bent for Leather" on stages night after night. Priest has forged an impactful collection of songs over their 43 years. At the deep cut level, even the most seasoned Priest fan can rummage through this discography and rediscover dozens of gems that have lost nothing with time, and actually sound even better than they remember. Among these, the free-falling, shuddering "Tyrant" from Sad Wings of Destiny; 1977's "Dissident Aggressor," where Halford's skyward falsetto and grinding guitars combine to create a dark undertow; Stained Class' rocking, cosmic "Better By You, Better Than Me" (a Spooky Tooth cover); "The Sentinel," a chilling Defenders of the Faith track flecked by cathedral bells and boasting one of Halford's best vocal performances; and "Painkiller," a 1990 pulverizer where any doubts about Priest's thrash/speed metal credibility were laid to waste. 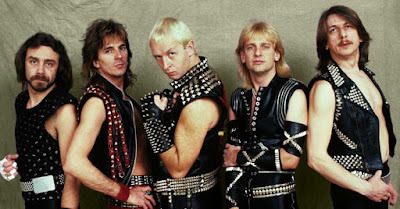 Judas Priest's sterling credentials for nomination and induction into the Rock Hall are self-evident at this point. Just ask their fans. Unquestionable musical excellence and significant influence? It's all here... wrapped in leather, and screaming for vengeance. E-Rockracy is brought to you by Eric Layton. . Powered by Blogger.